Tenancy deposit protection scheme my|deposits has revealed that almost half of all deposit disputes never go through to adjudication, with the tenant often resolving the matter themselves with their landlord or letting agent. my|deposits offers guidance and advice to tenants who wish to raise a dispute over their deposit return. The scheme found 40% of formal dispute notifications do not go on to require an adjudication decision. Tenants are encouraged to speak directly with their landlord or agent and come to an agreement over the deposit return that is acceptable to both parties. With my|deposits, landlords and agents can hold on to the deposit money, meaning they can deal directly with the tenant, rather than involving the scheme. Just over 1% of all tenancies end with a dispute over the deposit. 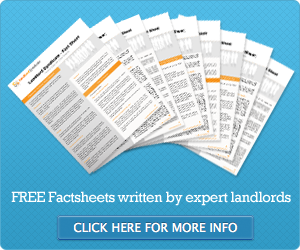 “This is good news for landlords and letting agents. When tenants first raise a dispute with my|deposits, we give them guidance on how to sort the matter out through reasonable negotiation. “In many cases, they then go back to the landlord and come to a mutually acceptable agreement over the deposit return. This saves both parties from having to go through the adjudication process of submitting evidence and waiting for an outcome. For more information about my|deposits, visit www.mydeposits.co.uk or call 0844 980 0290.